The regular Great Wednesday Compare will return on March 24. You can still vote here for the Louisa May Alcott/ D.H. Lawrence showdown. In the meantime, here's a haiku smackdown between two masters, Basho and Issa. I'll give you four haiku by each poet, and you can vote for your favourite poet (POET, not poem) below. If you know better haiku (or better translations) by either author, feel free to add them to the comments to help sway the vote in your favour. Vote in the comments. Voting ends on March 23rd. Who's better? Basho or Issa? if only she were here! from looking at the moon. I could never choose between Basho and Issa. I adore them both. Allow me to share with you all two of my favourite haiku of all time, by a contemporary Japanese haijin. Oh dear! I forgot the most important thing, the haijin´s name. 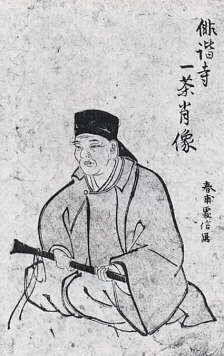 Kohjin Sakamoto. I exclaimed "oh I love this one" quite a few times while reading the works of both poets. But ultimately I exclaimed that more for Basho. Have you hobnobbed with many haiku poets so far on your trip? I love them both as well. But I love Basho incrementally more...so I'll vote for Basho this week. Canada Also Reads- Place Your Votes!